MidiFire is a free-form, modular CoreMIDI router, processor, monitor and clock source from the makers of MidiBridge. 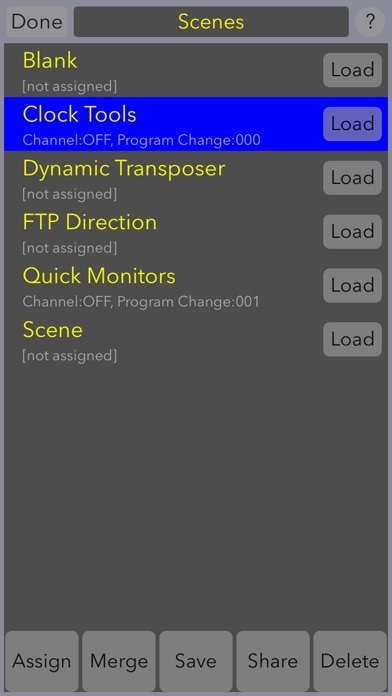 Drop and arrange MIDI ports and modules onto the canvas however you like and connect them up to start routing and processing your MIDI events. Pan, zoom and scroll the canvas. Add as many ports and modules as you wish. Connect them in series or parallel. Cascade them together. Merge and split. You can create highly complex MIDI processing setups. Or keep it simple - the choice is yours. ▶ FEATURES Essential processing modules for channelising, filtering, transposing, 'monofying', remapping and monitoring - or create your own. All included with the standard app. 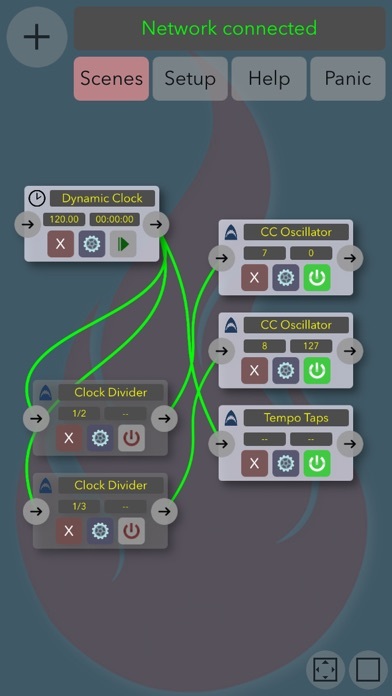 A highly accurate remotely controllable MIDI clock source. Save your work into recallable/re-usable scenes. Share your scenes with other devices, computers and people. 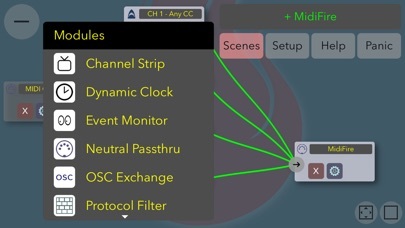 Switch between your scenes via configurable MIDI program change messages. Download even more functionality within the app for free using the 'Scenes Club' for useful and special-purpose scenes that you can incorporate into your workflow. Initiate and connect Bluetooth MIDI sessions within the application. 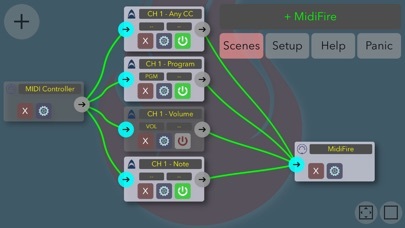 Define multiple virtual CoreMIDI ports to segregate your MIDI streams. ▶ COMPATIBILITY MidiFire supports all CoreMIDI hardware interfaces, the network interface, virtual ports (self owned or other apps') and Bluetooth MIDI. Also available for mac on the Mac App Store. Scene files are interchangeable between iOS and macOS. ▶ STREAM BYTER (II) What sets MidiFire apart is the newly extended Stream Byter module first pioneered in MidiBridge. With this you can write your own processing modules using textual rules. Newly added constructs to the Stream Byter include: IF/THEN, local/global variables, mathematical functions, timing variables, 'onload' rules, setting of block labels and sending arbitrary MIDI data. The Stream Byter is backwards compatible with rulesets you already have from MidiBridge; just copy/paste them in. ▶ NICHE MODULES Also included are some specialised modules: • Tracking Clamp - reduce tracking miss-hits from MIDI guitars. • Robotic Knob - generate complementary CC messages to control synths and FX based on your playing. • OSC Exchange - send and receive OSC data across a MIDI channel (DIN, USB, wifi or Bluetooth) between MidiFire instances. ▶ FURTHER INFORMATION For tutorial videos, full manual and more, please visit the MidiFire website - http://midifi.re For assistance in writing Stream Byter rules please email us or join the 'Audeonic Soapbox' forum - http://soapbox.audeonic.com and post your requirements there. * Powered by the MidiBus library.